Boston-based thrash band Meliah Rage had their biggest impact during the late 1980’s – signed to Epic Records, touring with Metal Church, receiving modest video/radio/press buzz for their debut album Kill to Survive. Since then, it’s been a see-saw world of independent labels, changing lineups, and recovery from a broken left hand from main guitarist Anthony Nichols which resulted in three surgeries and the possibility of never playing guitar again which caused a significant delay for the recording of Idol Hands. Returning for this record is former singer Paul Souza (who sang on four of the last five MR albums), along with familiar faces guitarist Jim Koury, bassist Darren Lourie, and drummer Stuart Dowie to give these eight songs a tried and true classic atmosphere. The playbook for Meliah Rage tends to veer on the power side of thrash rather than becoming an all-out blitzkrieg assault on the senses – crunchier mid-tempo riffs that induce steady toe-tapping and headbanging, stop/start transitions from part to part, and often a mechanized melody pattern that mirrors the feel of each track. The Koury/Nichols axe team know when to properly channel twin harmonies plus craft mesmerizing lead breaks – the opener “The Kill-All Rule” and faster “Sentenced to Life” featuring two of their best works on the record. A steady sledgehammer rhythm foundation allows Lourie’s bass work to pop out on “Dark as Your Thoughts”, the sneering Souza vocal captivating against the elevated power chords that continue their affinity for early Metallica and Metal Church as reference points. A first half highlight is “Crushed Beneath My Heel”, especially in terms of the easy to chant gang-oriented chorus and the steady, pounding tempo Dowie supplies through this blue-collar anthem. 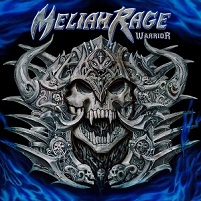 The proper behind the scenes teamwork that producer Peter Rutcho supplies with a vocal production assist from Wargasm’s Rich Spillberg gives Meliah Rage a final sonic punch that keeps the standards looking forward without sacrificing the old-school quality and outlook the band possess. Yes, there are a few times where specific passages come off a tad cliché (the opening sequence for “Absolute Power” an obvious Metallica knock off), but there are plenty of metal followers who crave artists that stick to their guns and aren’t chasing the current technical or intricate craze coming down the pike. 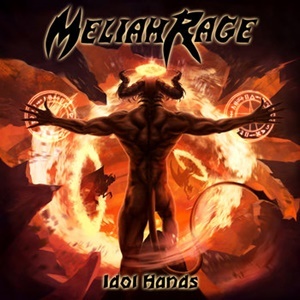 In the end, Idol Hands proves Meliah Rage aren’t resting on their laurels, and fuel the need for power/thrash in the current landscape adequately.